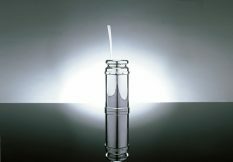 The crystal jar is available either plain or hand engraved with a mixed fruit pattern. Both the push-fit silver base and twist-fit silver collar are detachable for cleaning. 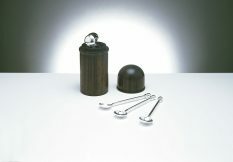 To match your jar, the knop of the spoon can either be left plain or embellished with a mixed fruit detail. 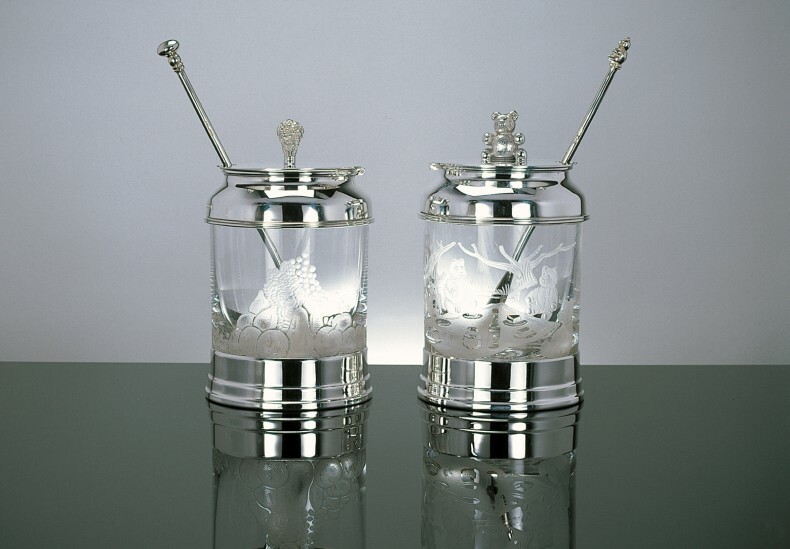 The crystal jar is available either plain or engraved with a teddy bear's picnic scene. Both the push-fit silver base and twist-fit silver collar are detachable for cleaning. To match your jar, the knop of the spoon can either be left plain or embellished with a little matching teddy bear.